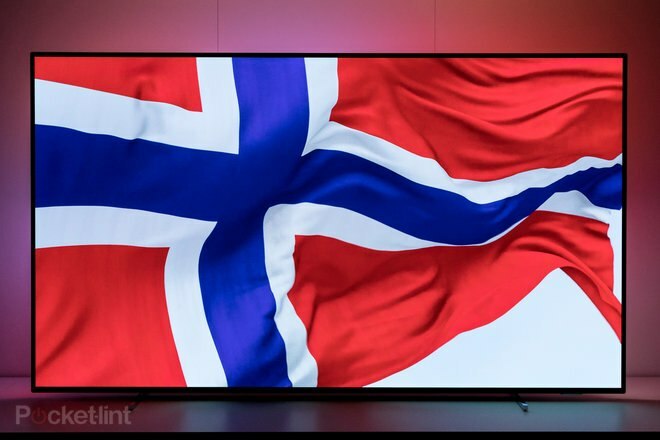 The 803 is the first Philips OLED flatscreen TV to feature the brand’s second-generation P5 Perfect Processing Engine, which claims to offer twice the picture performance of its predecessor. Given that the original silicon was no slouch, that set our expectations high. 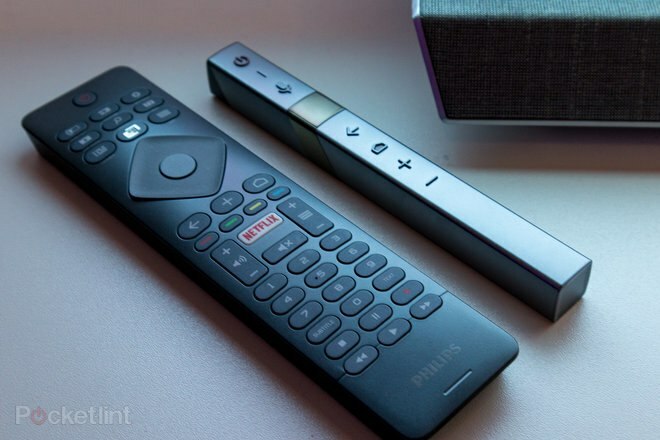 The 803 also features Philips Ambilight room lighting – find our explainer here to see why it’s always a crowd pleaser – and a retooled audio system (so theoretically no need for a soundbar), along with a price tag that’s the right side of generous for an OLED panel such as this. Indeed, this Philips is pound-for-pound the same price as the already excellent LG C8 OLED. Are you salivating yet? You should be. Here’s why Philips is at the top of its game at last. 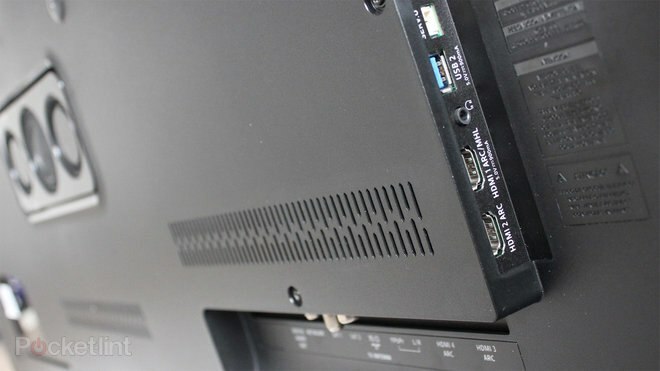 The 55OLED803 offers four 4K capable HDMI inputs with HDCP 2.2 support (to ensure 4K streaming and sources are compliant), but only two are the full fat 2160/60p – thus you may have some issues if you’ve got a lot of 4K plug-in equipment. There are also twin USB sockets and an AV minijack for composite and component hook-up. Ethernet complements built-in Wi-Fi. 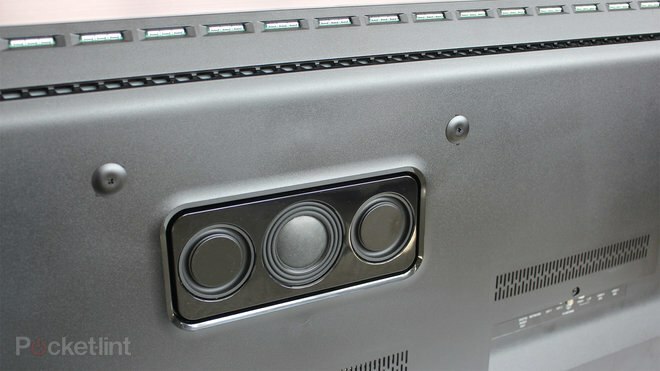 There’s also an optical audio output for exterior sound system use. The 803 runs Android N and has 16GB of expandable onboard memory. To be honest, Android is a tough TV operating system to love in its current guise, just as we’ve said of it in Sony TVs past and present. The good news is there’s a software upgrade to Android Oreo on the cards, complete with new user interface (UI) and Google Assistant voice control functionality. Alexa users shouldn’t feel left out, as there’s a skill for the Amazon voice system that will bring the set under Amazon system control. One unfortunate consequence of Android TV is no Freeview Play (the two don’t play ball for some reason), which means no roll-back TV guide, and limited catch-up TV options. The Freeview HD electronic programme guide (EPG) is disappointingly basic, with no picture-in-picture (PIP) or even audio overlay. Key apps include iPlayer, Netflix, Amazon Prime Video, YouTube, Google Play, Rakuten TV, Dailymotion, BBC News and Sports. Netflix and Amazon are 4K HDR enabled, as is YouTube 4K. But you’ll note the lack of All4 ITVHub in there. 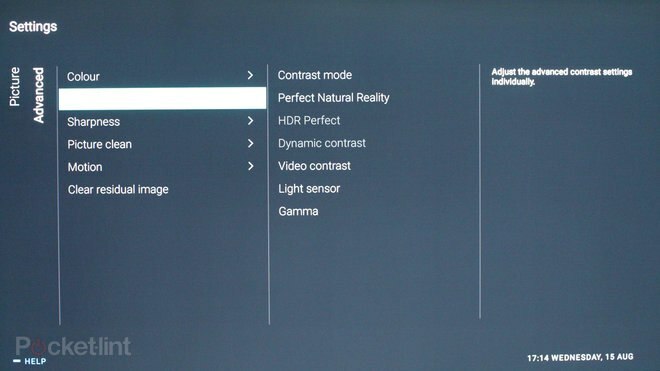 HDR10 and Hybrid Log-Gamma (HLG) HDR support are standard. The 803 also heralds Philips as a signatory to the HDR10+ Alliance. This dynamic metadata open standard is setting itself up as a rival to Dolby Vision (which the Philips notably lacks), but software support remains conspicuous by its absence… for now. HDR10+ promises more detail in shadow areas, as the image is analysed and optimised on a frame-by-frame basis. So what of the 803’s overall picture performance? It’s certainly something special, although you’ll need to navigate a forest of settings to get the best from it. Advanced digital noise reduction (DNR) sets out to reduce indiscriminate smearing, usually caused when a processor mistakes detail for grain. There have also been improvements made to MPEG noise reduction, to minimise Mosquito noise and macro blocking. Overall, the 803’s image is consistently clean and crisp. Of course, the vast majority of material you’ll watch on this screen is likely to be standard dynamic range (SDR), which is where new wizardry, dubbed Perfect Natural Reality, comes into play. The 803’s HDR performance is right up there with the competition. We measured peak brightness of just over 830nits (with a five per cent HDR window). This is certainly good enough to celebrate specular highlights on an OLED panel such as this, putting it almost exactly on par with the LG OLED C8. Motion handling is a gloves on or gloves off affair though. Select the Movie mode from the Picture Styles option and you’ll enjoy images free of motion artefacts, albeit with a little judder and loss of motion clarity. The other options (Sports, Standard, Smooth and Clear) all improve pan stability and detail, but bring with them motion artefacts that halo around moving objects. The Personal setting allows you to tweak Perfect Natural Motion and Perfect Clear Motion settings, and it’s here you should experiment to find an acceptable treatment for fast-moving sports footage. The 803 represents a reasonable proposition for gamers. Hook your console up and play using the Standard image preset and you’ll encounter 55.4ms of input lag. Selecting the dedicated Game setting drops this to 38.8ms. It’s not an exceptional performance, but is unlikely to impede most console games. A new oval mid-range driver, plus a separate soft dome tweeter, improves stereo separation. As such, we don’t think you’ll be in a hurry to add a soundbar. 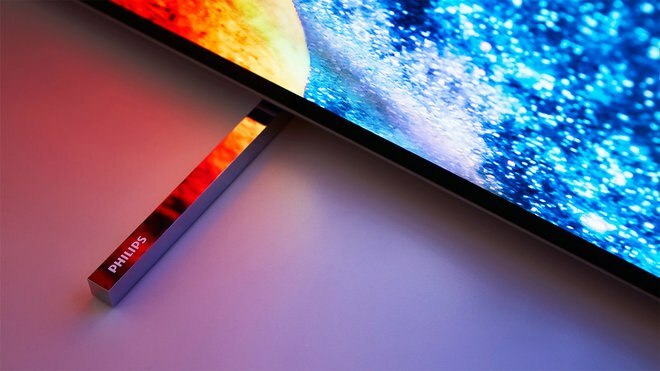 Overall, the Philips OLED 803 is a strong contender in an already impressive 2018 OLED field. 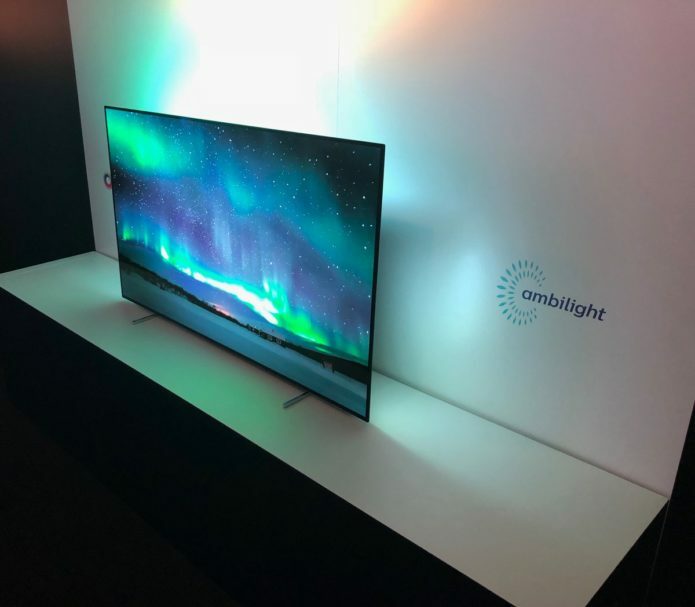 Ambilight gives it a unique advantage, and it has another winner in Perfect Natural Reality, probably the best SDR-to-HDR image processor we’ve seen since Sony’s object-based HDR remastering. The lack of catch-up is an irritant, however, but given that most users will have another device offering ITVHub or All4, that shouldn’t be a deal breaker. 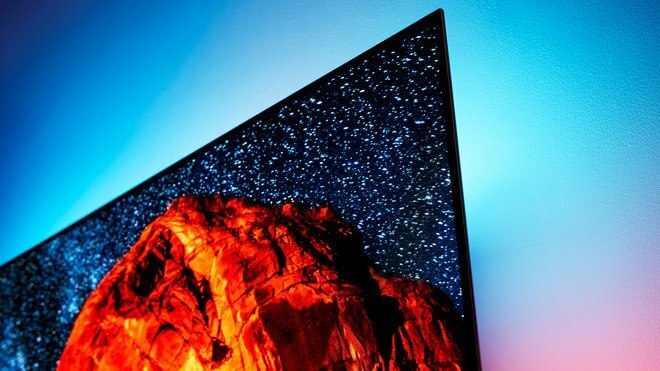 The lack of Dolby Vision may prove a bigger hurdle, especially compared to LG’s C8 OLED, but only if you have a compatible player and software investment. What Philips finally has got right is the price: at around £2000 this is a superb screen for the money, easily able to take-on LG’s OLED equivalent. 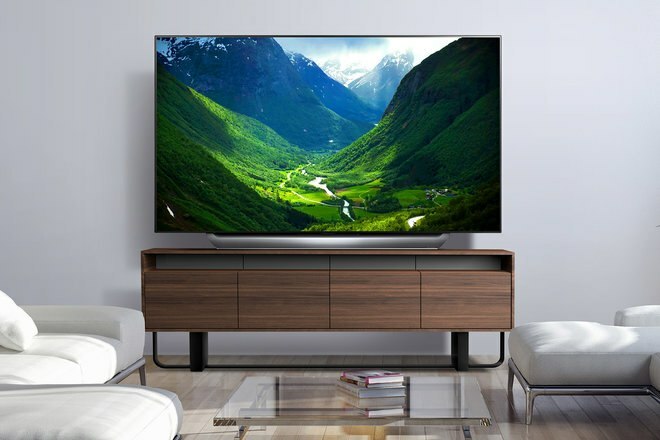 The OLED game just got even more exciting thanks to this Philips set. The OLED screen market offers rich pickings for buyers. 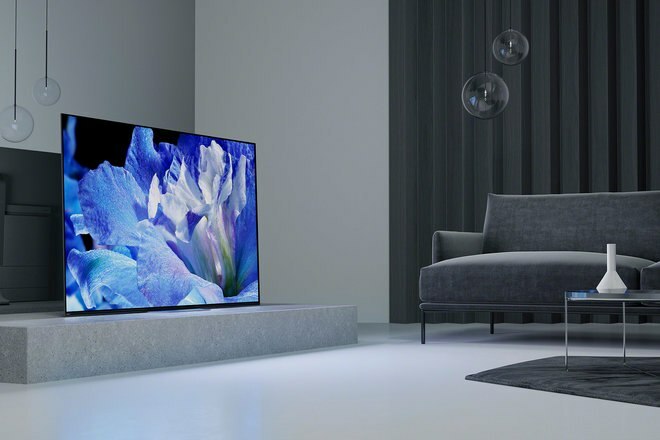 If you can resist the siren allure of Ambilight, then Sony’s AF8 OLED is a great alternative. Sony’s object-based HDR remastering is the only SDR-to-HDR technology that can challenge Philips Natural Perfect Reality, and it trumps the 803 for audio, thanks to its novel Acoustic Surface Audio technology, which trades conventional audio drivers for panel vibrating actuators. It’s a bit more expensive though. If you’re set on OLED then this panel from LG is simply stunning. There’s Dolby Vision compatability, a better operating system and catch-up options… but, of course, no Ambilight extra. It’s the very same £2K in its 55-inch form, so the toss-up between this and the Philips is tighter than ever.